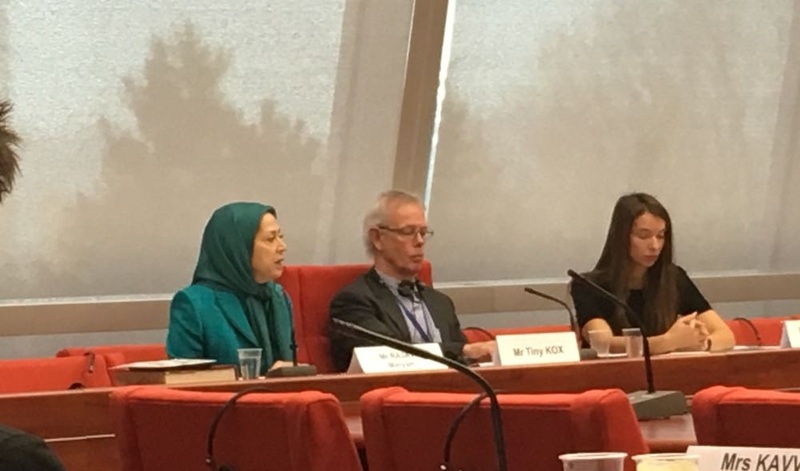 On Wednesday, 24 January 2018, the Group of the Unified European Left in the PACE invited the President-elect of the National Council of Resistance of Iran (NCRI), Mrs. Maryam Rajavi, to address its group meeting on the human rights situation in Iran and the recent nationwide protests in the country. More than 8000 protesters have been arrested and at least 50 have been killed, eight of them under torture in Iranian prisons since the beginning of the protests on 28 December 2017, according to Mrs. Rajavi. She also presented her 10-point democratic platform for future Iran. The UEL condemns the crackdown and mass arrests by the authorities, which deny the Iranian people from exercising their right to protest. The UEL calls on PACE Members to act for immediate release of those arrested and investigate the reported death of protesters.